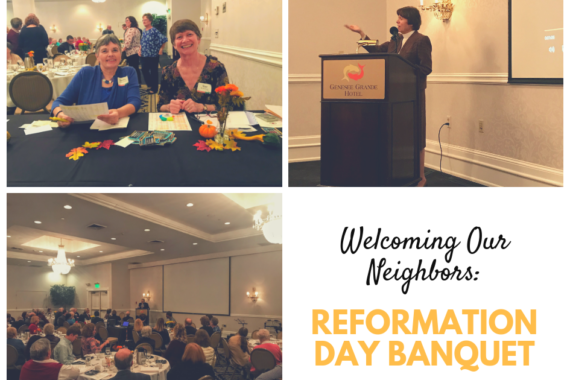 Our annual LCM Reformation Day Banquet was held at the Genesee Grande Hotel on October 28th, 2018. 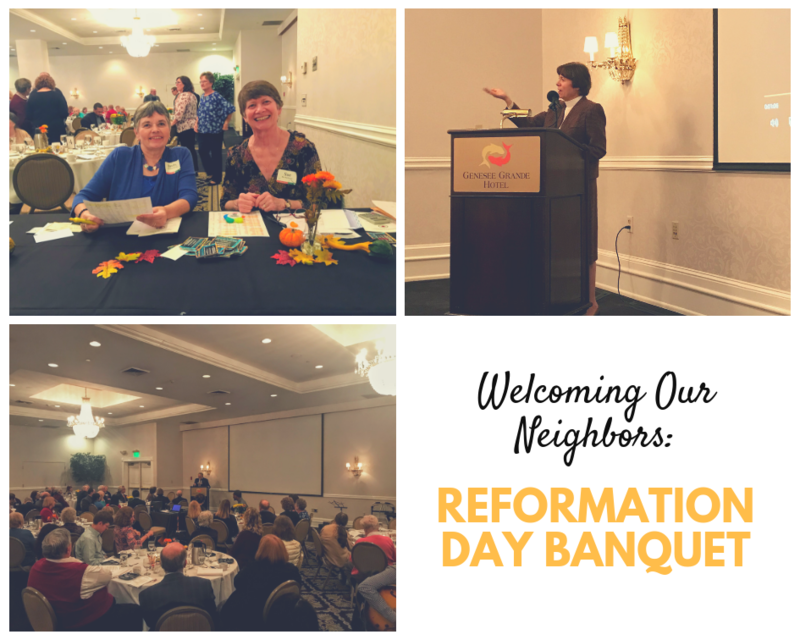 It was a truly inspiring night with our keynote speaker Beth Broadway and distinguished disciples Bonny McCabe and Rev. Marie C. Jerge. Beth Broadway, President/CEO of InterFaith Works, shared with us the experience of seeing her mother courageously stand up against those opposing school integration. This sparked her commitment to the work she does to this day. In addition to inspiring all who attended, we thank her for introducing and endorsing the STEP Center programs offered this year. She encouraged all of us to be active agents in bringing, understanding, and acceptance to all people as an end note. Youth Minister Bonny McCabe inspired us by sharing the joy she finds in her volunteer work. In her commitment to faith, she demonstrates a balance in personal, family and communal relationships. She admitted this is not always easy, but it is something she would never change if she had to do it over again. Her heartfelt stories and experiences were not only motivational, but also uplifting. Rev. Marie C. Jerge is an ordained minister of the Evangelical Lutheran Church in America, former bishop of the Upstate NY Synod, ELCA; a Spiritual Director; and Dean of the yearly Lutheran Summer Gathering at Silver Bay. Former Bishop of New Jersey, The Rev. Roy Riley, introduced her and read the prayer Marie gave to the conference of Bishops before they took the historic vote for full inclusion of the LGBTQ community. He believes her Trinitarian prayer transformed the spiritual chemistry in the room before the debate took place. We experienced the prayer as relevant to us today as we grapple with change together. Lutheran Campus Ministry thanks all who attended and hope the event inspired many more to become more involved with our programs and community!